We have featured some of the best laptops that you can buy, earlier this year and also in the last year we have written about Top 5 gaming laptops under Rs.50,000 and many people actually liked it, some of them even ordered laptops for their basic gaming needs and I think now it’s time we move to a little lower segment. Admission and college sessions already started and probably many of you are students who are willing to buy a laptop which can handle your work and multimedia needs well. Just a very simple reminder, while you chose a laptop for work and multimedia, never go to some specific manufacturer’s store and ask for suggestions, you will probably cry after you’ve purchased from them. I have already gathered this kind of experience via some of my friends, so what are we waiting for? Let’s take a look at the Top 5 budget laptops under Rs. 30,000 that ar affordable, powerful enough and yes, a little bit stylish to make you stand out in the crowd. Most of the people prefer Dell for one solid reason, sturdiness and powerful specs. And Dell Inspiron 15 3542 is a combination of power and grace. It is powered by a 4th gen Intel Core i3 processor coupled with 4GB of RAM, and yeah, you get Ubuntu pre-installed, however you can install Windows later. The laptop has 500GB HDD, and Waves MaxxAudio 4 sound technology, which you give you a good music and multimedia experience. it has got all sorts of connectivity options like Wi-Fi, Bluetooth, USB 3.0 etc. And, yes you can expand the RAM upto 8GB which is a good thing to remember. This is perfect for students or for anyone, who just needs a good laptop for work, so we put it on top of our list of Top 5 budget laptops under Rs. 30,000. It is available for Rs. 26,490 on Flipkart and Rs. 24,990 on Amazon. Coming to the 2nd entry in our list of Top 5 budget laptops under Rs. 30,000, right after Dell Inspiron 15 3542, the second one in our list is from HP, Pavillion 15 AC125TU which is another great laptop, but is priced a bit higher than the previous one. 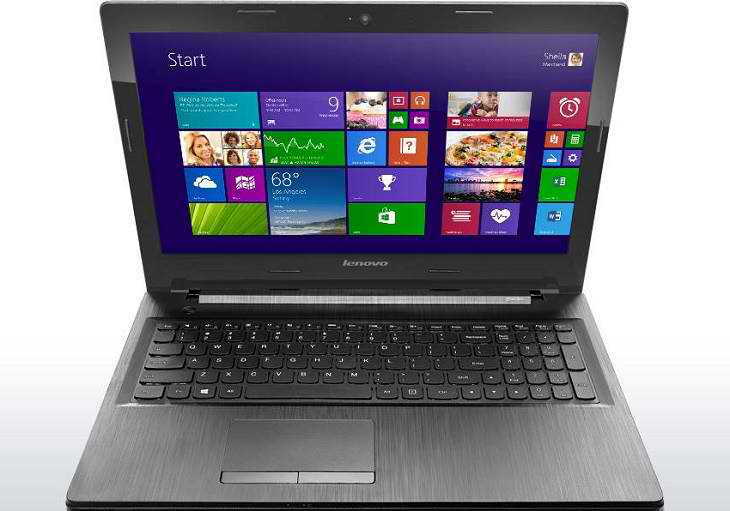 The laptop is powered by a super fast 2.1GHz Core i3 5010U (5th gen) processor along with 4GB of RAM. There is a huge space of 1TB for storage, and yes it doesn’t come with any OS pre-installed. So, just install your favorite OS and you’re good to go. Just like Inspiron 15, it has the provision of adding up upto 8GB of RAM. The laptop comes with various connectivity options and for security it has also got Kensington Lock Slot. This laptop is also a great choice, if you want to spend a little extra for a 1TB hard disk. It is priced at Rs. 29,488 on Flipkart and Rs. 28,448 on Amazon, pretty close pricing, huh? Pick it up for your favorite e-commerce site. This is not a 15-inch laptop, a little smaller one but yes, it has got great specifications and features. One thing that I particularly loved in this Dell Vostro is that there is an Nvidia GeForce GT820M graphics card having 2GB of dedicated graphics memory. So, can’t drop it down, but yes again it’s a 14 inch laptop and it’s on the third position in our Top 5 budget laptops under Rs. 30,000 list. It is powered by 1.7 GHz Intel Core i3 (4th gen) processor coupled with 4GB of DDR3 RAM, and it houses a 500GB HHD for storage. i have already mentioned about the dedicated graphics that you get on this laptop, also it has got good connectivity options and being small, it is very easy to carry it here and there, which leads to great mobility. Overall, it is one of the best you can get for a very nominal price. It is priced at Rs. 29,199 on Flipkart and Rs. 26,490 on Amazon. It will not be fair if I don’t include this one into our Top 5 budget laptops under Rs. 30,000. This laptop is perfect for those who are into multimedia stuffs and watch movies, and listen to music a lot. The Lenovo G50-80. It is powered by 2.1 GHz Core i3 5010U (5th gen) coupled with 4GB DDR3 RAM, which you can also expand upto a whooping 16GB. In terms of storage also, it offers huge 1TB HDD at 5400 RPM. However, it doesn’t come with a dedicated GPU, but it has got Intel HD 5500 graphics. It is priced at Rs. 28,550 on Flipkart and Rs. 27,920 on Amazon. This one deserved to stay on our list of Top 5 budget laptops under Rs. 30,000 as it has got great features and wil perform well for sure. It is powered by 2GHz Core i3 5005U (5th gen) coupled with 4GB DDR3 RAM, just like the 4th entry in our list it has got 1TB HDD and Intel HD5500 graphics. It comes with Linux pre-installed onto it. This is comparatively a new product, but yes it’s promising enough and that’s why I had to put it on our Top 5 budget laptops under Rs. 30,000 list. It is available for Rs. 26,490 on Flipkart and Rs. 26,440 on Amazon. And that is the last one to get into the list of Top 5 budget laptops under Rs. 30,000. So, here we were with our list of Top 5 budget laptops under Rs. 30,000. This time, I thought of trying out some budget laptops which are really good for work and casual use, but remember if you are a gamer and looking for a laptop which can handle moderate level of gaming you must jump to the top of the article and follow the link that has been added, otherwise you’re good to go with any one of your choice from the list. Previous article2 Smartphones with mere Change in Price & Specs: What’s the Strategy?